Are you looking for hotels in Bay City, Michigan? Delta Motel is the answer. Here at the Delta Motel you’ll receive a warm and pleasant welcome from our hard-working staff. Our number one goal is to make your stay comfortable and convenient. 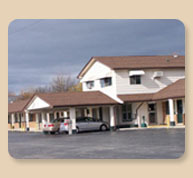 Make the Delta Motel your choice in Bay City, MI lodging. There is plenty to do and lots to see while you’re in Bay City. If you like history, there are some fascinating museums less than 30 minutes away from the motel. If you’re into antiques, there are some great specialty shops that will definitely grab your attention. Stop by some of these Bay City area attractions—you won’t regret it. Delta Motel is less than 5 minutes from Bay Regional medical Hospital, the Greyhound Bus Station and downtown Bay City. Our central location will allow you to get where you’re going fast.